Match call numbers on multiple Bingo boards to reveal patterns. Match one or more patterns to the prize table to win. Select your mode of play -- Play For Fun or Play For Prizes. To play for prizes you must first enter the required code numbers from an eligible non-winning BINGO instant game ticket. Each game begins with four Player’s Cards. Select Auto Dab or the desired play Speed before beginning the game. A total of 30 Bingo Numbers will be drawn automatically. You can control the speed of the drawing by clicking the Speed icon. Select matching Bingo Numbers on each of the four Player’s Cards by clicking those numbers. Selecting Auto Dab will automatically reveal all 30 Bingo Numbers and any matching numbers on each Player’s Card. After all 30 Bingo Numbers have been drawn, a 10 second countdown will begin. Any matching numbers that have not been revealed will automatically reveal. If you entered an eligible $3 Bingo ticket in “Play for Prizes” mode and you uncover one or more winning patterns you win the corresponding prize in the Prize Legend.If you entered an eligible $5 Bingo ticket and you uncover one or more winning patterns, you get to play the Multiplier game in order to determine your total winning prize! Coupons will be emailed to the member's registered email address as provided in his or her Michigan Lottery account information within 1 business day of being awarded. Add reply@noreply.michiganlottery.com to your address book to ensure delivery. No winners have been drawn yet. This directive outlines a promotion by the Michigan Bureau of State Lottery (Bureau) that begins on April 24, 2012 and ends on September 8, 2020. During the promotional period, participants may access and play an interactive Bingo game through either a personal computer with an Internet connection or with a mobile device using the Michigan Lottery Bingo mobile app. By submitting the unique Game Number and Validation Code sequence from eligible non-cash prize winning Bingo instant game tickets, participants may access and play the interactive game for chances to win drawing entries or instant ticket coupons. Definitions – as used in this directive. Bingo App - the free mobile device app created for this promotion that participants can download. Bingo Game Outcome – the pattern(s) revealed by matching numbers on all four (4) Player’s Cards after all thirty (30) Bingo Numbers have been called. Patterns resulting in a prize are described in Section 5(b). All other patterns are considered non-winning and will not result in a prize. Code Sequence – collectively, refers to either the 8-digit Validation Code or the 10-character alpha-numeric Entry Code printed on Eligible Tickets. Entry Code – the unique and randomly assigned 10-character alpha-numeric code concealed beneath the scratch-off material on Eligible Tickets from games #796 – Bingo Plus, #239 - Wild Bingo #214 - Multi-Prize Bingo, #268 – Super Bingo. Game Number – the 3-digit number printed on the front and back of each instant game ticket. MyMiBingo.com – the website created for this promotion that provides participants with all the functionality necessary to participate in the promotion from a personal computer. Validation Code – the unique and randomly assigned 8-digit number concealed beneath the scratch-off material of every ticket. A hyphen always appears between the third and fourth digits and the last five (5) digits are always underlined. By accessing www.MichiganLottery.com via a personal computer and either logging into his or her existing account or by registering as a new member, and then selecting the hyperlink specifically developed for the purpose of accessing the interactive game. By accessing www.MyMiBingo.com via a personal computer and either logging into his or her existing account or by registering as a new member. 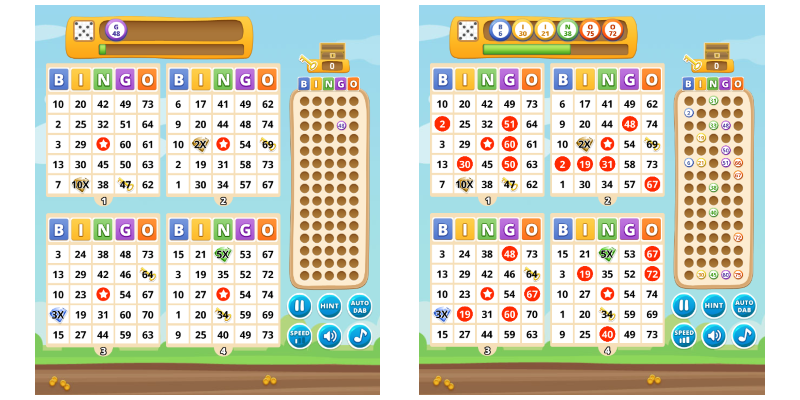 By downloading and installing the Bingo App on a supported mobile device and either logging into his or her existing account or by registering as a new member. A participant will be required to be a member and submit one (1) eligible Code Sequence to access and play the interactive Bingo game. Each number sequence allows the participant to play the game one (1) time. Each Bingo Game Outcome is predetermined and governed by the Code Sequence submitted by the participant. All interactive Bingo games that are interrupted can be replayed by selecting the Account History menu option. Only Code Sequences found on Eligible Tickets are valid for entry. Each eligible Code Sequence may be submitted only one (1) time in this promotion, regardless of the method used to access the game. Each eligible Code Sequence has been pre-assigned one (1) Bingo Game Outcome and is valid for one (1) interactive game play. Only the number of eligible Code Sequences submitted by the participant limits the number of drawing entries or instant game coupons he or she can win in this promotion. 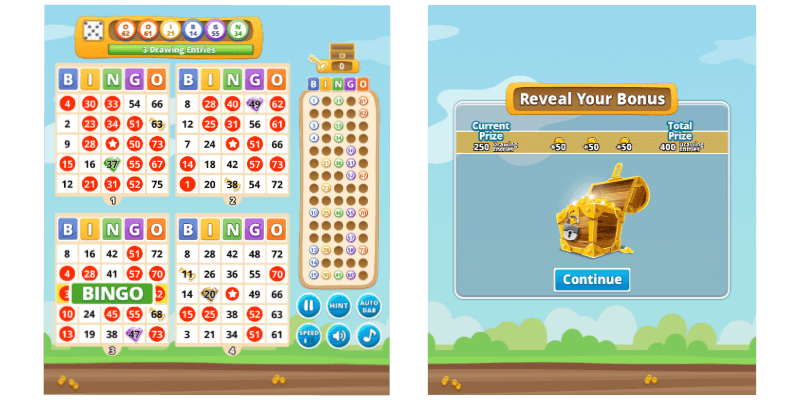 Each participant may view the Code Sequences that he or she has submitted and the history of the prizes he or she has won, if any, by viewing the Account History screen in the Bingo App or by logging into his or her account and accessing the appropriate page in the MyMiBingo promotional website. Participants may select a “Try It” version of the interactive game. Membership and a Validation Code is not required to access the “Try It” version of the interactive game. Prizes are not awarded in this version of the game. BACK Button. When selected returns the participant to the home screen. WINNING PATTERNS Graphic. A rotating graphic that displays each of the winning Bingo patterns: Horizontal, vertical or diagonal line, 4 corners, and the “X” pattern. BINGO NUMBER Carousel – Displays the last six (6) Bingo numbers called. How To Play – When selected reveals the game play instructions. Prize Table – When selected reveals the game prize table. Rules – When selected reveals the official game rules. WINNING PRIZE Status Bar. Displays the current winning prize amount, if any. CARDS toggle. When selected reveals the two (2) Player’s Cards not shown in the current display. FOUR (4) PLAYER’S CARDS, each consisting of twenty-four (24) bingo numbers and one (1) free space located in the center position of each Card. Each Bingo number and free space is overlaid with a transparent covering. Two (2) Player’s Cards at a time are displayed, either Cards 1 and 2 or Cards 3 and 4. To display the two (2) Cards not currently shown, the participant must tap the Cards toggle button. BINGO BOARD. A matrix consisting of seventy (70) circular spots arranged in five (5) columns and fourteen (14) rows. After each bingo number is called, the number appears in the appropriate spot on the Bingo Board. TREASURE CHEST Graphic – Displays the current number of Auto-wins collected. SOUND button. When selected allows the participant to adjust the volume of the game. MUSIC button. When selected allows the participant to turn the background music off or on. HINT button. When selected highlights any matching bingo numbers that have not been revealed by the participant. Reveal – When selected all remaining bingo numbers will be drawn and then all matching numbers will be automatically revealed on each Player’s Card. Auto Dab – When selected will automatically reveal any matching bingo numbers on each Player’s Card after each Bingo number is drawn. Cancel – When selected will return the participant to the game play. SPEED button. When selected allows the participant to adjust the speed at which bingo numbers are drawn. PLAY/PAUSE button. When selected will pause the drawing of bingo numbers. Each Player’s Card will include one (1) of four (4) possible multiplier values: 2X, 3X, 5X and 10X. Multiplier values appear on a Player’s Card with a diamond symbol background and will rotate between the multiplier value/diamond symbol and the Bingo number position shared by the two. A revealed multiplier value will be applied only if the participant matches at least one (1) winning Bingo pattern across all four (4) Player’s Cards. To reveal a multiplier value, the participant must match the Bingo number shared by that multiplier symbol. More than one (1) multiplier symbol may be revealed, but only the highest multiplier will be applied. Auto wins appear on a Player’s Card in the form of a gold key symbol and will rotate between the symbol and the Bingo number position shared by the two. Each Player’s Card will include one (1) gold key symbol. For each Bingo number matched on a Player’s Card that includes a gold key symbol, the key counter on the Treasure Chest graphic will increment by one (1). Participants can match up to three (3) Bingo numbers that include a gold key symbol. The Auto Win value for each gold key collected is revealed at the conclusion of the game. Participants who submit a $3 Eligible Ticket will be presented with the Auto Win game play feature only. Bingo numbers will be automatically drawn and the participant will select the matching Bingo numbers that are displayed on any of his or her four (4) Player’s Cards. Participants will indicate a match by tapping or clicking each number to remove the transparent covering. The remaining bingo numbers will be drawn in random order until the predetermined Bingo Game Outcome is reached. At any time during the game, a participant may select or de-select the AUTO DAB button. Each game will conclude when thirty (30) Bingo numbers have been drawn and all matching Bingo numbers on all four (4) Player’s Cards have been revealed. The Bingo Game Outcomes and associated prizes assigned to the Code Sequence found on Eligible Tickets are randomly distributed. Refer to the Prize Tables section. A participant may win a prize only by revealing one or more of the winning patterns illustrated below. Any horizontal or vertical line consisting of five (5) matching numbers and a “FREE” space, or a diagonal line consisting of four (4) matching numbers and a “FREE” space. Only one prize per Player's Card. Only upon completing the Interactive Game will a participant be awarded the predetermined prize, or notified of a non-winning experience. Instant ticket coupons awarded in this promotion will be automatically sent to the prizewinner’s email address on record in his or her account. The coupon will be in an electronic format that is printable from the prizewinner’s computer. Coupons are redeemable one (1) time only at any licensed Michigan Lottery instant games retailer and must be redeemed by the Expiration Date printed on the coupon. All coupons issued in this promotion will include an Identification Code. The code will be located in the lower left corner of each coupon and will consist of 5-digits with a hyphen between the third and fourth digits. Identification Codes are determined by the coupon value and the game number of the Eligible Ticket submitted that resulted in the coupon prize. Identification Codes are consolidated below. Drawing entries awarded in this promotion will be automatically consigned to the Bingo Second Chance Drawing. Entries are valid for one (1) drawing period. At the conclusion of each weekly drawing, all entries will be deleted from the drawing pool. Drawings will be conducted each Wednesday during the promotional period. The deadline to receive entries into a weekly drawing pool is twenty-four (24) hours prior to the drawing date. In each drawing five (5) winners will be selected to receive one hundred dollars ($100) worth of free instant tickets. All participants must be a resident of the state of Michigan and a Michigan Lottery member to be eligible for this promotion. An officer or employee of the Bureau or any spouse, child, brother, sister, or parent residing as a member of the same household in the principal place of abode of an officer or employee or a contractor or subcontractor of the Bureau is not eligible to participate in this promotion. Additionally, participation in the promotion must occur from within the boundaries of the state of Michigan. And, all participants must be at least 18 years of age or older. Eligible Tickets from game #796 – Bingo Plus may be submitted from October 4, 2016 through November 5, 2018. Bingo Plus instant game tickets sold after the final entry deadline of November 5, 2018 will not be eligible for this promotion. Eligible Tickets from game #239 – Wild Bingo may be submitted from September 5, 2017 through December 3, 2019. Wild Bingo instant game tickets sold after the final entry deadline of December 3, 2019 will not be eligible for this promotion. Eligible Tickets from game #214 – Multi-Prize Bingo may be submitted from October 3, 2017 through March 2, 2020. Multi-Prize Bingo instant game tickets sold after the final entry deadline of March 2, 2020 will not be eligible for this promotion. Eligible Tickets from game #268 – Super Bingo may be submitted from October 2, 2018 through September 8, 2020. Super Bingo instant game tickets sold after the final entry deadline of September 8, 2020 will not be eligible for this promotion. Upon reasonable notice, the Commissioner may announce a change to this or any other promotion offered by the Bureau at any time. All decisions made by the Commissioner including prize declaration and prize distribution are final and binding on every person making a claim. This promotion in no way alters the Bureau’s other directives except as provided herein. This promotion is subject to Lottery rules, directives and state law and any prospective and uniform changes thereof. The only basis for a valid lottery claim is compliance with the lottery statute, lottery rules, and directives. No valid lottery claim may be premised on human, electronic, or other error in the communication, display or transmission of data, however recorded, displayed or transmitted. No valid lottery claim can be premised upon any intentional human, electronic or other form of communication or transmission of data, which has not been authorized by the lottery commissioner. Game #796 – Bingo Plus. A total of 4,873,925 Eligible Tickets will be produced in $5 game #796 – Bingo Plus. The Bingo Game Outcomes and associated prizes assigned to the Validation Codes found on these Eligible Tickets will be randomly distributed as follows. Game #239 – Wild Bingo. A total of 4,251,714 Eligible Tickets will be produced in $3 game #239 – Wild Bingo. The Bingo Game Outcomes and associated prizes assigned to the Validation Codes found on these Eligible Tickets will be randomly distributed as follows. Game #214 – Multi-Prize Bingo. A total of 4,089,706 Eligible Tickets will be produced in $5 game #214 – Multi-Prize Bingo. The Bingo Game Outcomes and associated prizes assigned to the Validation Codes found on these Eligible Tickets will be randomly distributed as follows. 4. Game #268 – Super Bingo. A total of 5,449,337 Eligible Tickets will be produced in $5 game #268 – Super Bingo. The Bingo Game Outcomes and associated prizes assigned to the Validation Codes found on these Eligible Tickets will be randomly distributed as follows.